Hello, folks! I have a little quick tutorial up over on the CAS-ual Fridays Stamps blog! I combined an older favorite with a new favorite for this super fun card! 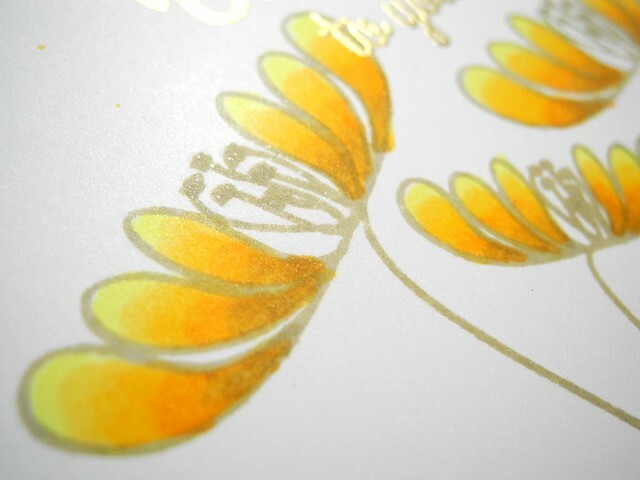 I colored the flowers using copics, you can find the colors I used over on the CAS-ual Fridays Stamps blog. I love how these turned into gorgeous fall flowers using some warm tones! Be sure to head on over there to check out my tutorial and LOTS of other awesome inspiration! LOVE these colors. So pretty!